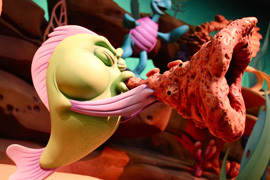 Today we’re thrilled to share the very first photos from inside the Under the Sea ~ Journey of The Little Mermaid attraction, which will open at Magic Kingdom Park this December. 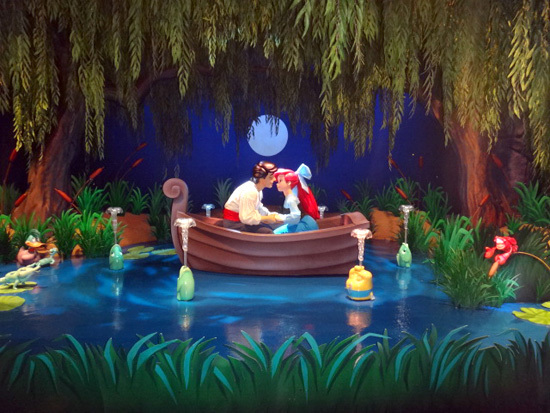 Housed in the grottos below Prince Eric’s Castle, this New Fantasyland attraction invites guests to follow Ariel on her remarkable journey as she meets Prince Eric, falls in love, and makes a deal with Ursula, the evil Sea Witch. These photos, supplied by Walt Disney Imagineering, are some of my favorite that we’ve shared in our “All in the Details” series so far. I love this shot, which is obviously inspired by the “Kiss the Girl” scene from the film. Many of you have asked about the differences between this attraction and The Little Mermaid ~ Ariel’s Undersea Adventure attraction at Disney California Adventure park. For that answer, you can’t miss our previous posts and photos of the attraction’s impressive exterior, which includes Prince Eric’s Castle, and its queue, which leads through shipwrecks and rocky cliffs below. 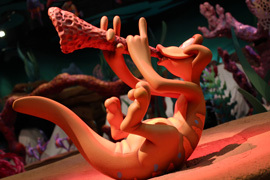 AMC Downtown Disney to Offer Sensory Friendly Shows for Autistic Visitors. Calling all UK Performing Talent. Disney Needs You!